I always love hitting up Teavana for an iced tea whenever I’m in my local mall. They always have such amazing flavor profiles! And for someone who JUST drinks tea – I can REALLY appreciate the variety. Now that I have started trying to lose the baby weight (it’s officially been a month), I needed to find a flavorful tea that was caffeine free and calorie free. I knew Teavana was the place to visit. They had a sample on the floor that I fell in LOVE with. It was a combination of both Pineapple Kona Pop and Blueberry Bliss. I bought a half a pound of each and almost fell on the floor when I got the receipt. PRICEY! I walked out spending $77!!!! For loose leaf tea!! Anyway… I’ve been happily drinking the combo ever since. 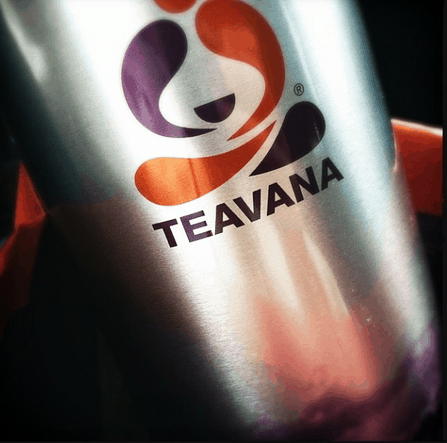 Do you have a Teavana near you? BLISS! There is a new flavor I can’t wait to try out. Berry Almond Amaretto!!! YES. PLEASE.